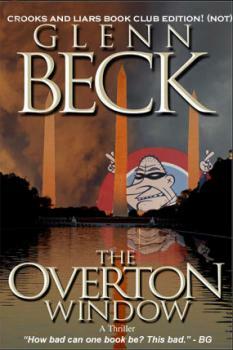 The wait is over: Glenn Beck's terrible, awful, no good, very bad novel comes out tomorrow. And you know what would be funny? If everyone who bought The Overton Window for pure joke value, did it with a link that directly benefits Crooks and Liars. Bwa ha. If you don't have stomach for that, there are two other options: read the terrific crib notes for Beck over at Media Matters, and instead buy the book Over the Cliff by our own Amato and Neiwert (reviewed here).